The National Council of Women (NSW) is a non-government umbrella organisation with broadly humanitarian and educational objectives that celebrated its 120th anniversary in 2016. They are located on the Lower Ground floor of the SMSA building. 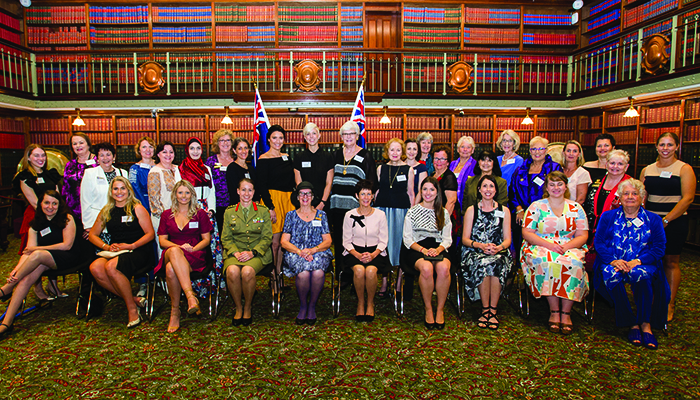 The National Council of Women (NSW) held their annual Australia Day Awards on the 27 January, 2017 at Parliament House, Sydney. The awards honour talented young women, studying in a diverse range of subjects, who have each demonstrated outstanding abilities in their individual fields of endeavour. The awards for the 2016 year are presented in 2017. The Sydney Mechanics’ School of Arts sponsored three awards this year through a grant of $3000 to the National Council of Women (NSW). SMSA Vice President Winsome Allen attended the luncheon to present the awards.